Mistflower, blue mistflower, wild ageratum, pink eupatorium, hardy ageratum, and blue boneset are just some of the many common names used to identify this eye-catching Florida native wildflower. Mistflower produces branched stems that bear dense, flat clusters of “fuzzy,” bluish-purple disk florets. It does not produce ray florets. The long stamens give the flower heads a fuzzy appearance. Leaves are oppositely arranged, almost triangular in shape, with toothed margins and faintly pubescent surfaces. The genus Conoclinium was once classified in the genus Eupatorium, but genetic analysis revealed differences that required reclassification to its own genus. Mistflower is very attractive to pollinators, especially butterflies and moths. 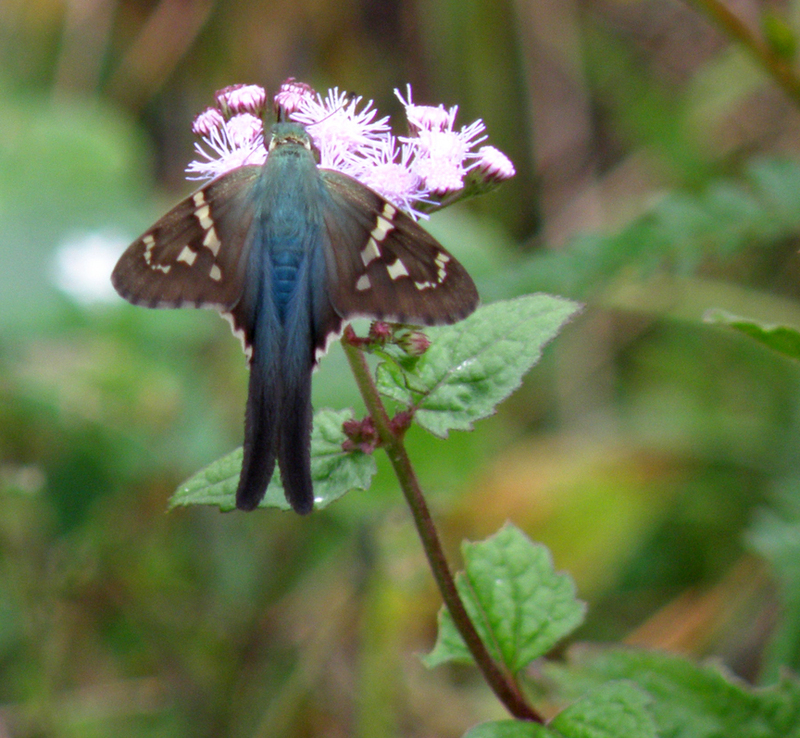 To see where natural populations of mistflower have been vouchered, visit florida.plantatlas.usf.edu. Garden tips: Mistflower is perfect for a wildflower garden where they can naturalize freely, particularly in a moist setting. It does spread quickly, however, and can take over if not maintained. It is very easy to grow from seed and by division, and makes a good border plant. Mistflower seeds are available through the Florida Wildflowers Growers Cooperative. Plants are often available at nurseries that specialize in native plants. Visit PlantRealFlorida.org to find a native nursery on your area.